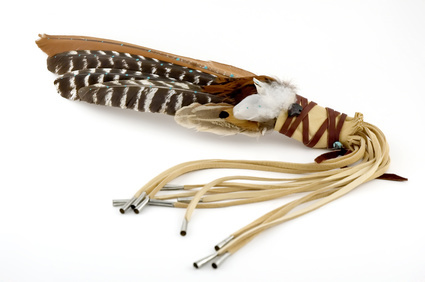 One of the tools use to help people effectively negotiate a difficult conversation is known as the Indian Talking Stick. Stephen Covey describes the Indian Talking stick as one of the most powerful communication tools he has used. Stemming from American Indian culture it has been used for centuries to build understanding and resolve differences respectfully and effectively. The idea is that only the person holding the stick gets to make their point and they continue to speak on this point until they feel they have been understood. The other person(s) are only permitted to speak in so far as they need to clarify or reflect back in order to demonstrate that they have understood the speaker. Once the speaker feels that his/her point has been understood, then they have to pass the stick to the next person and equally facilitate them to make their point, until they are satisfied their point has been understood. 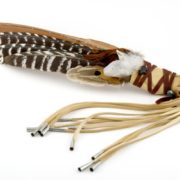 Of course you don’t have to use an Indian Talking Stick, any object will do that the speaker can hold and then pass on. So a couple of weeks ago, in the middle of an escalating argument during a long car journey I decided to try this with my two daughters and myself (I was party to the argument too!). Grabbing the nearest stick-like object (a bicycle pump!) I suggested we try this exercise in order to help us have a more effective conversation. One of the girls was nominated to go first and holding the ‘Stick’ make her point. It took a few minutes to get used to it because the immediate tendency was to respond and react back to the point that she was making. So for example she would say ‘It’s not fair that you got to go first because you were first the last time’ , rather than responding with ‘Oh no I wasn’t’ or ‘Well I think it’s fair’ we would have to instead say something like ‘So you feel it was unfair that we didn’t take turns in going first’. Now you might think reading this, that’s all a bit simplistic, merely repeating back to the person what they’ve just said. But when you try to practice it, it’s much trickier. 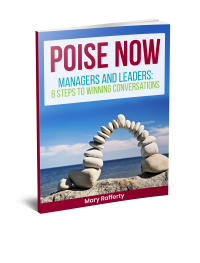 Not only have you to try to understand what the speaker says but you have to also demonstrate to them that you understand it. You therefore need to move completely away from a focus on your point and concentrate on them. Instead of rebuffing what they are saying, you find yourself trying to capture its essence. Having to switch your energy into thinking ‘what is it she is really trying to say’ and ‘how can I get across to her that I get what she’s saying’ caused a real shift in the dynamic between the girls. We moved from competing to trying to co-operate. That’s because each of those listening knew they wouldn’t get to hold the stick and have their turn speaking until the current speaker felt truly understood. It was interesting also that I noticed once each of the girls felt she had truly been listened to, it seemed to disipate a lot of the frustration and anger that had built up. It also helped to clarify their thoughts, for example realising that it wasn’t about turn-taking, rather she had simply wanted to be the first in this particular situation.